The Fort Valley State University Spotlight is featuring Dr. Noel Matthews-Gardener. The alumna earned her doctorate in computational chemistry in 2013. The 29-year-old is currently teaching as a chemistry professor at Hinds Community College. She currently conducts research in computational chemistry. Gardner is originally from Atlanta, Ga. She attended Lithonia High School in Lithonia, Ga.
After her graduation in 2002, Gardner decided to enroll at FVSU, where she planned to major in chemistry. Dhir and Daniels encouraged Gardner to seek many research and internship opportunities In 2003, she interned with Jackson State University’s Computational Centers for Molecular Structures and Interactions. In 2005, she interned with the National Science Foundation at the South Alabama in Mobile, Ala. There, she conducted a quantum investigation of the stereo hydrolysis of cyclic nucleotides by phosphodiesterases in order to develop better pharmaceutical medications for patients. In 2006, she completed a summer undergraduate research internship at the University of Texas Medical Branch in Galveston, Tex. When Gardner finally earned her bachelor of science degree in chemistry from FVSU in 2006, she was intimidated about what she would do next. 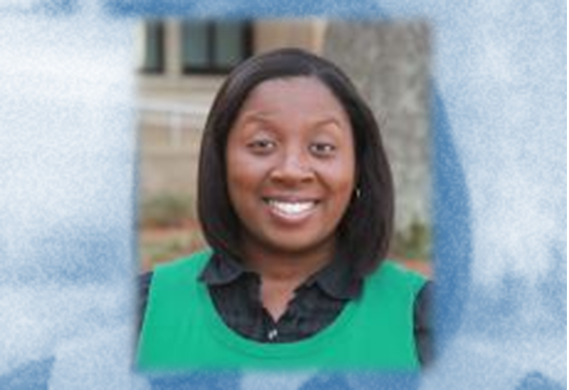 From 2008 to 2009, Gardner worked as a teaching assistant at Jackson State University. Eventually, Gardner applied for graduate school at Jackson State, and was accepted into their doctorate program for Computational Chemistry. Gardner said she’s thankful for the mentoring she received at the university and to her parents. Gardner said it’s strange to be a peer of her former professors that taught her in college. She had this advice for current FVSU students.